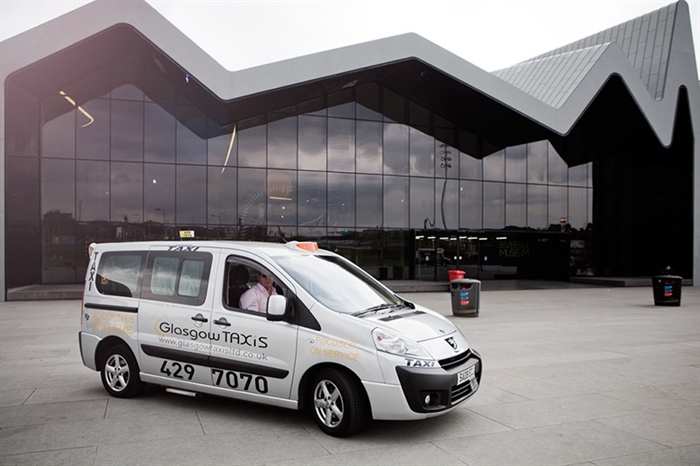 With a fleet of more than 800 taxis, Glasgow Taxis Ltd is the largest supplier of licensed taxis in the UK outside of London, providing 5-6-seater transport services 24/7. Glasgow Taxis Ltd provides individuals and businesses from the city of Glasgow and its surroundings with an exemplary service, catering for an extensive range of customers with wheelchair access in all vehicles. Taxis can be booked by phone, text, online or via booking app and fares can be paid by cash, contactless payment (including Apple Pay), credit card or account. Glasgow Taxis Ltd has passenger safety at the forefront of its service: all drivers have been vetted by Police Scotland and licensed by Glasgow City Council.